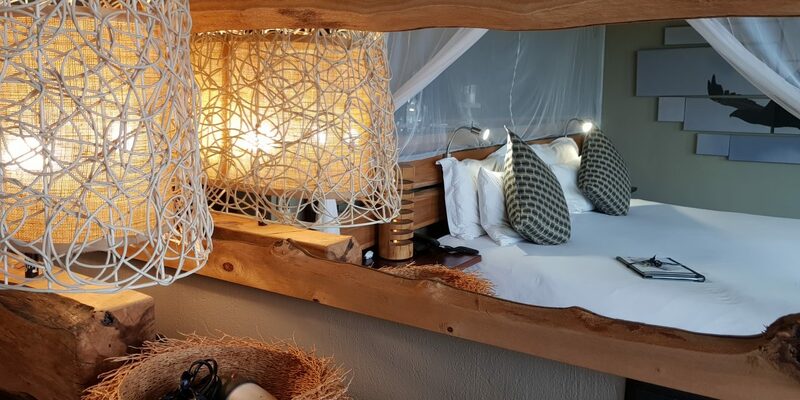 Rhino Ridge Safari Lodge opened her doors to receive her first guests in 2015. Three years on, Isibindi Africa’s Rhino Ridge Safari Lodge is now firmly entrenched on the land that the Mpembeni Community so generously set aside 15 years ago in order for Inkosi (Chief) Daniel Hlabisa to establish an ecotourism enterprise. The 750ha of land the local community set aside consisted of abandoned and overgrazed farmland which adjoined the Hluhluwe Game Reserve. Rhino Ridge Safari Lodge itself has grown and adapted as much as the land she was built on has. The teething stage is over and the staff, many having been with the lodge since its inception, have grown personally and professionally under the guidance of the Isibindi Africa Lodges management team. The staff are all friendly and accommodating and nothing ever seems too much for them. They are eager and willing to please and ensure that your stay is a memorable one for all the right reasons. It’s them who have helped make Rhino Ridge the success that it is today.